Strawberry Colander Set « Gluttoner: You gonna eat that? Prepare your strawberries in gear that looks like strawberries. 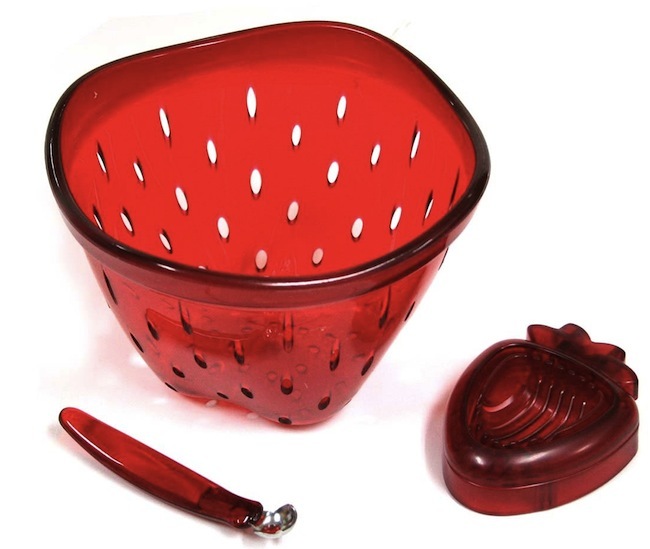 The Joie Simply Strawberry 3-Piece Colander Set has colander, huller and slicer that all look like a strawberry. It’s always a good time for strawberries and now you de-stem, wash, and slice them with this attractive kit. Just make sure to invite us over if you’re making a strawberry shortcake. Seriously, call me.